Submission Deadline: 12:00 noon, Thursday, November 15 . ﻿Please see below for publication rules and other information. 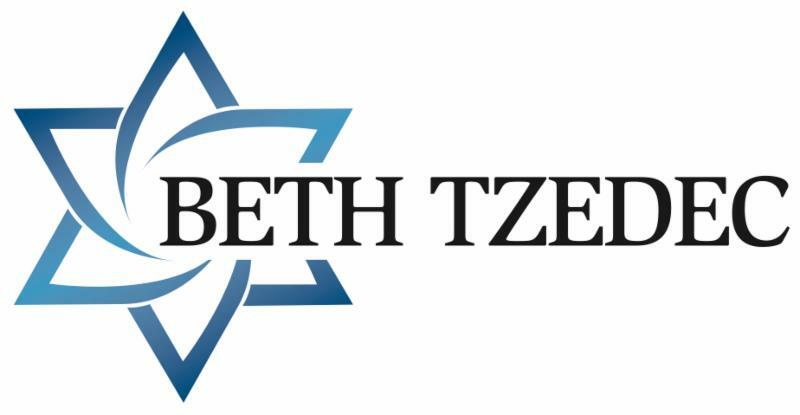 Bat Mitzvah Club Starting this Month! Special club for girls ages 11-13. Learn what it really means to be a Bat Mitzvah in the modern world through art, cooking and baking, discussion, and self-expression! Welcoming girls of all backgrounds and affiliations (no matter where the celebration will be held or was held). For more information visit our website , call 403-281-3770, or email. New this year! Special classes for little ones starting ages three and up! Registration is still open for the 5779 – 2018/2019 Calgary Yachad Hebrew School. Presenting Judaism as a way of life, filled with pride, joy, dreams, meaning, and fulfillment. Our curriculum is designed using multi-sensory, hands-on activities, creative art projects, music, and drama. Visit our website , email , or call 403-281-3770 for more information and to register. Lunches and snacks included. Daily outings and more. Stay tuned for more information. Visit our website , call 403-281-3770 or email . Join our relaxed and informal baby group and share the joys and oys of parenthood. Email Tamara Whiteor phone 403-554-2024 to register or for more information.This program is suitable for babies under twelve months. Next dates: November 8 and 22. Join us for a cafe shachor (a coffee with friends). Let us welcome you to Jewish Calgary. Meet new friends, bring your children to play. Enjoy a fun and friendly morning, games, music, and more. For more information contact Karina Szulc at 403-389-6994. Celebrate Chanukah - the Festival of Lights - with a Light Show! PJ Library ® invites you to join us for Chanukah stories, songs, latkes and treats – and a unique light show! There is no charge, but space is limited and registration is required by Wednesday, November 28. Please email Kathie. Join us for a free family Chanukah celebration! DJ, music, prizes, cookie decorating, crafts, dreidels, food for purchase, and of course lots of fun! No need to register. Join our free half-hour class focusing on the festive feeling of Shabbat songs, dance, and brachot. There is no need to register. Email Kathie for more information. Next dates: November 2 and 16. Bring the entire family and join the JCC in our annual celebration. Enjoy a fun afternoon of music, crafts, prizes, cookie decorating, and dreidels. Free and open to everyone. JCC and BBYO Teen Connect invite all teens grade 7 and 8 to fun afternoon at Laser Quest! Bring your friends! The price is $15 per person, which includes pizza and pop. For more information email Barry Pechet with any dietary restrictions and to RSVP before November 18. Comcast Universal will sponsor exclusive free educational screenings of Schindler’s List for high school students at select theaters in major markets to commemorate the 25th anniversary of the film's release. High school administrators and educators in the United States and Canada are invited to sign up for a chance to attend a free educational screening of Schindler’s List with their students. Screenings are limited to select theaters in major markets. Please click here to register. Classes will be offered invitations to screenings on a first-come, first-served basis. For more information, email Danielle Braitman. 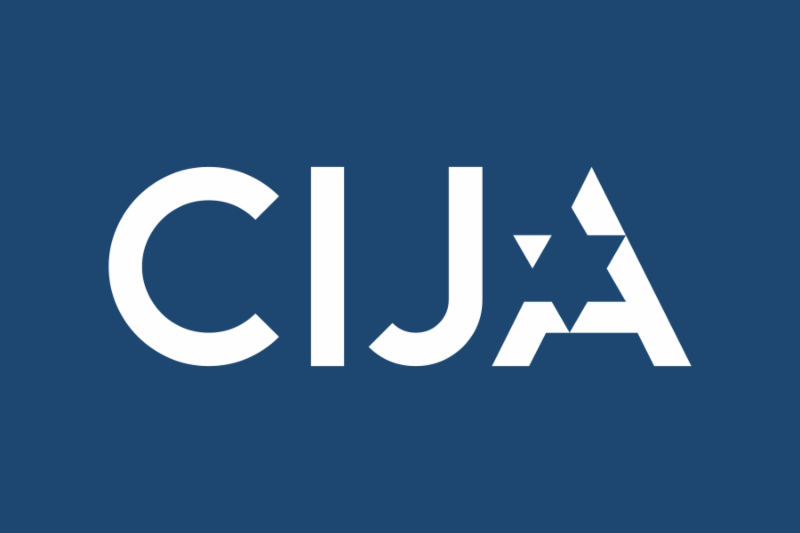 Join Hillel and Jess Burke from CIJA for a free intersectional evening of learning. Jess will be presenting on intersectionality, antisemitism in progressive and LGBTQ2+ spaces, and building meaningful community partnerships both on and off campus. This event is open to students from all post-secondary campuses. Email Danielle Braitman for more information. More information to follow. Email Danielle Braitman . Calgary Jewish Federation's Holocaust Education department invites you to participate in our newest initiative: Remember and Be the Light . On the evening of Thursday, November 8 and extending into Friday, November 9, please light a candle in your window to protest baseless hatred. For more information click here . Please join us as we officially unveil the new Veterans Wall of Honour display recognizing local Jewish veterans. RSVP by November 6 to Lyne St-Charles by email or at 403-444-3170. A Calgary tradition, featuring live music, Chanukah gelt, Israel Bonds raffle, dignitaries, community leaders, latkes, and more! Free busing available (by rsvp only). For more information go to our website . RSVP by email or call 403-281-3770. Don't miss Beth Tzedec's upcoming 18th Annual Jewish Film Festival, opening on Thursday, November 1 and running over 3 exciting weekends. From stirring dramas to illuminating documentaries, the festival will feature a diverse selection of award-winning and critically acclaimed films from Israel and around the world. For full details about this year's line-up of outstanding films and special guests, visit the festival's website . Festival passes are available now online or by calling the Beth Tzedec office at 403-255-8688. Join Rabbi Matusof for weekly Tanya classes. Free to attend. Walk-ins welcome. Part of the Sunday Morning Yeshiva Experience. Visit website for RSVP and information or call 403-281-3770. Weekly lessons that probe into the depths of contemporary Torah thought, with a special focus on issues surrounding spirituality and the human psyche. Visit our website , call 403-281-3770 or email. Classes with Rabbi Yisroel Miller. Information: 403-259-3230. Classes with Rabbi Binyiomin Halpern. Information: 587-917-6651. JHSSA is sponsoring the screening of the film GI Jews: Jewish Americans in World War II in memory of JHSSA founding president, Jay Joffe. Admission fee to the afternoon screenings applies. Join Magen David Adom for an educational evening. This is not your regular CPR / First Aid training; this course will give you the basic tools on how to help in case of a Mass Disaster (natural, accident or premeditated). The general public’s behavior, with or without medical background, in the first few minutes following an event can change dramatically the outcome for many. Email Sharon Fraiman or call 587-435-5808 to register or for more information. November is Blue Box Month and JNF will be pleased to exchange your Blue Boxes at the Jewish Film Festival exchange booth or drop off at the JCC. Tu Bi'shevat Laugh Yourself Silly & Last Comic Standing contest. Anyone interested in participating in the comedy contest, please contact JNF as soon as possible: 403-255-0295. The 2nd annual JNF Future Alberta Cup will be held at West Edmonton Mall on the weekend of February 23 and 24. Captains start putting together your hockey teams to win the cup back to Calgary! Interested in playing ice hockey with other members of the Jewish community? The CMJHL is now open for registration for the 2018-2019 season. The non-contact league is open to adults of all skill levels looking to join a fun and serious ice hockey league with games once per week. Participants can expect all games to be played in the southwest at either the Stu Peppard or Oakridge Arenas. For more information and/or to register please email Rod Sztabzyb. Lounge or dance the evening away to the sounds of Andrea's latest jazz album, World's Apart . Tickets can be purchased online or at Customer Service Desk. Professional artist, Sarah Bing will lead participants each evening through the creation of a new painting that can be taken home. Wine included. For fee information and to register contact the Customer Service Desk at 403-253-8600, ext.0. Film and literature come together with this year's Jewish Book Festival opening at the Jewish Film Festival with a pre-selection of our books for sale on Nov. 17-18. Continue discovering books and enjoying authors and activities at the Calgary JCC. We are looking for volunteers for our Jewish Book Festival on November 17-18 (at the Jewish Film Festival) and from November 21-25 (at the JCC). Please email Tania Guerrero, Arts and Culture Coordinator if you would like to assist us. Be sure to include your phone number and availability. Join us for our next class on October 29 and explore the world of Jewish Klezmer music with conductor Frank Rackow. For fee information and to register contact the Customer Service Desk at 403-253-8600, ext.0. Mark you calendar for our annual fundraiser, presented by ATB Financial, featuring Jarome Iginla. Get ahead of the game and reserve your table now by emailing Lynne Preston. Another casino fund raiser for Camp BB Riback is soon coming our way, and we're hoping we can count on your volunteer support! This is one of our camp's largest and most important fund raising events, where we typically receive approximately $70,000 to help keep and improve our facilities. Please contact our Director Stacy Shaikin as soon as possible to lend your support to this important fundraising cause. It's also a fun time and great way to meet other dedicated volunteers, camp staff, alumni, and supporters. As we age so does our mind. Learn how to direct your mind to understanding what your needs are. This will be facilitated by Chuck Terlesky BA, CCPE. Simply put, we believe every sound connects us to our world. Come receive a complimentary screening. No appointment necessary. In partnership with Connect Hearing. Get your free flu shots by a professional pharmacist. All welcome. Please bring your Alberta Health Care card with you. In partnership with Safeway / Sobeys Pharmacy. A lovely way to spend a Tuesday afternoon with friends in a warm and friendly atmosphere. Enjoy a home cooked meal with entertainment by Karina Sculz. Please bring a non-perishable food item for the Mitzvah Project Food Bank. In partnership with Jewish Family Service Calgary. For fee information and RSVP call 403-253-8600, ext.0 or 403-537-8599. Enjoy a home cooked meal, draw for prizes, lots of fun and entertainment by Steven Klevsky. In partnership with Jewish Family Service Calgary . For fee information and RSVP call 403-253-8600, ext.0. We will be selling Chanukah cookies. Please place your orders at JCC Customer Service Desk at 403-253-8600, ext.0. $12 for a baker's dozen (13 cookies). All proceeds go towards seniors programs. Tracking Your Jewish Heritage and Leaving a Legacy with Ken Drabinsky. Learn how to start a family tree, search for documents and communicate with the family. For fee information and to RSVP, contact the synagogue office at 403-255-8688. For more information, please contact Donna Caplan at 403-271-3066. Calgary JCC is a proud sponsor of the Canadian Hadassah-Wizo (CHW) Annual Toy Drive in support of Calgary Jewish Family Service and the Alberta Children's Hospital. We encourage everyone to bring in a new, unwrapped toy to the JCC. The toy drive runs until November 30. Gifts and toys are collected for children 0-18 years old. Please no clothing or stuffed animals. Gift cards and movie passes are wonderful. As the holiday time draws closer, it is important for us to keep in mind those who are less fortunate. We are asking you to think about our JCC members as well as the community at large during this time, by bringing in one food item per month from now until December. All kosher products will be delivered to Jewish families in need and all non-kosher items will go to the Calgary Food Bank. If everyone does their part, it will enable our community members to have a wonderful holiday season. The JCC Seniors Department and Jewish Family Service Calgary thank you for your generous support. Any inquiries can be directed to either Nessie at 403-537-8599 or Albina at 403-287-3510. Christianity: From its Jewish Origins to its Diverse Expressions in the 21st Century by Dr. Michael Duggan. Email for RSVP or call 403-255-8688. Everyone welcome! Step out of the potato box and explore the world of deliciously crazy latkes! Rabbi Shaul Osadchey is your guide as you cook up new latke recipes. You will have fun in this popular class that ends with eating your tasty creations! For fee information and to register in advance call 403-255-8688. The class is limited to 12 participants. Although Unitarianism is not a Christian denomination, its origins and Christian influence make it an appropriate part of our year's study theme. Rev. Faulk will uncover the history and the theology of the Unitarian Church in her presentation. For more information, email or 403-255-8688. 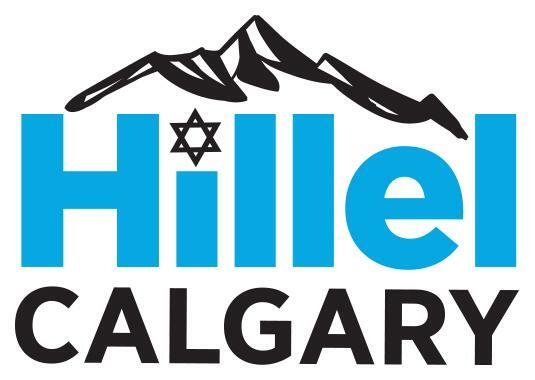 A representative of the Israeli Consul will be at the Calgary JCC on Sunday, November 25 and Monday, November 26. C omplete the intake form online , after which you will be contacted directly by the Consul to set-up a formal appointment. For information contact Sandy Blass via email or 403-444-3152. Click here to read our publication policy and guidelines. Calgary Jewish Federation does not necessarily endorse all the events listed in ePOM. Inclusion in this community service does not imply authorization or recommendation. If you have any comments about ePom or anything else in the community, please contact Adam Silver, Chief Executive Officer, Calgary Jewish Federation at 403-444-3151 or email . 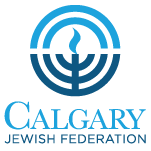 Calgary Jewish Federation wants you! We have lots of exciting information to share about upcoming programs and events. If you are not already receiving our publications, please send us your contact information and we will be sure to bring you up to date on happenings in Jewish Calgary. To sign up today, email Anita Jong.